Mérida urban transport concessionaires asked the State Government for a new increase in the service rates with which they can solve the crisis that the sector is going through, given the increase in the cost of fuels and spare parts, and they assured that this is a situation that “they can not stand anymore”. 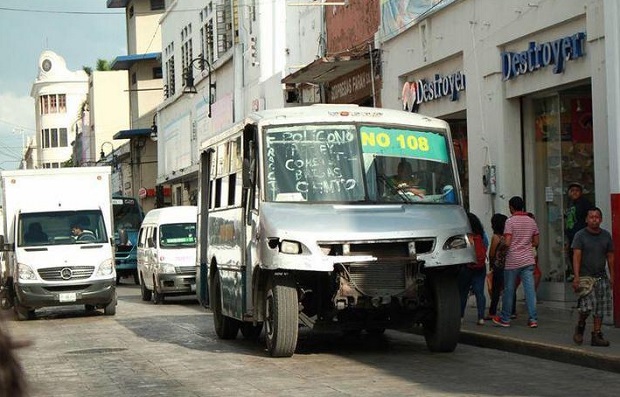 At a press conference, organized in the facilities of the Union of Bus Drivers of Yucatan (UCY), the representatives of the five companies that concentrate the service in the city, said that even these rates could be only “temporary”, (from eight to ten pesos for adults and from three to five pesos for the so-called “social” rate) . The leaders of the five public transport concessions say they are in a serious economic situation, which does not allow them to improve the conditions of the transportation units. They said that the federal economic public policies such as excessive increases in fuel prices are not their fault, and argued that the price of diesel increased in 250% in a twelve-year period, from $5.70 pesos in 2006 to “19.07 pesos per liter in 2018. The State Government refused transport concessionaires an increase in the rates for this service. The public transport companies are asking to raise the fee from 8 to 13 pesos for adults and from 3 to 6 pesos for children, students, persons with disabilities and senior citizens, or else, they demand an increase to the government subsidy.